Screenshot of Veta Wade from Veta’s Story, a new production from the Bezos Family Foundation’s Student Rebuild. 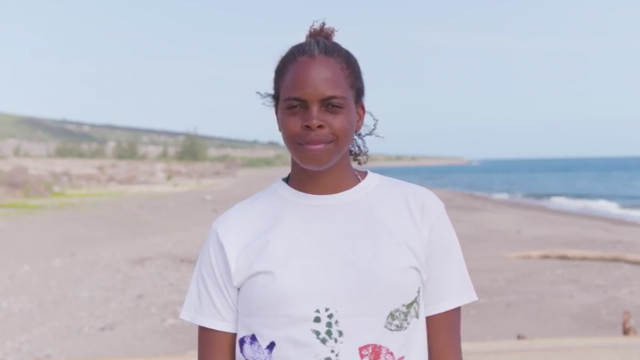 The Bezos Family Foundation has recognised the work being done on Montserrat by ocean advocate Veta Wade of Fish ‘n Fins Kids Club. Through its Students Rebuild programme, the foundation seeks to inspire young people worldwide to connect, learn, and take action on critical global issues, including ocean health. Wade’s programme came to the attention of the foundation, which is run by the family of Jeff Bezos of Amazon, through Dr Ayana Johnson. Johnson was the former Executive Director of The Waitt Institute, who got to know Veta when she came to the island to launch the Blue Halo Montserrat project. Johnson referenced Fish ‘n Fins in a TED conference and the senior manager at Students Rebuild then reached out to Wade to learn more about her work. Wade started the non-profit in 2015 to educate children about the ocean through EdVentures. Students Rebuild thought the work being done on Montserrat “with local youth was particularly compelling” and after a few interviews and meetings, the foundation sent a production team from Lost Found Films to shoot a video. The short video which is now on their Facebook page, highlights the story of young people who have had a transformed relationship with the ocean by their participation with Fish ‘n Fins. 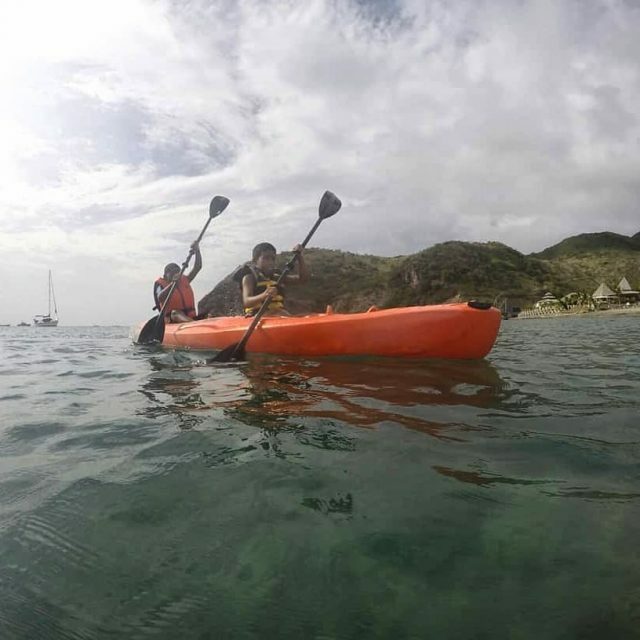 Students at Fish ‘n Fins learn to kayak, snorkel and swim while learning about being better stewards of the ocean. The result is ”Veta’s Story”. Wade and Fish ‘n Fins is now recognised as one of the international teams involved in their recently launched Ocean Challenge, which the advocate says “compliments our work perfectly, regarding marine education and curriculum planning. Being part of the programme has led to the development of classroom discussion and activity guides for Upper Elementary , Middle & High School Students around the world! “I’m incredibly inspired and more determined to share our story and raising our impact across the globe,” said Wade. “We have reached over 2000 children and young people via camps, field trips, school visits, and outreach on Montserrat & Barbuda. Since the Fish ‘n Fins summer camp began in 2015, the three-week programme is annually over-subscribed with more than 100 students. “We now see youth being more ocean aware, learning to swim, snorkel and aspiring at careers in marine biology. I am very happy that the Bezos Family Foundation recognized our work,” she said. In 2014, Veta founded AQUA Montserrat, a social business modelled on the concept of marine education/awareness being used as a form of management to reduce damage to coral reefs and build climate resilience. The AQUA model continues to evolve. She currently coordinates marine awareness projects in association with Waitt Institute, Blue Halo Montserrat, the Government of Montserrat and the Montserrat National Trust. 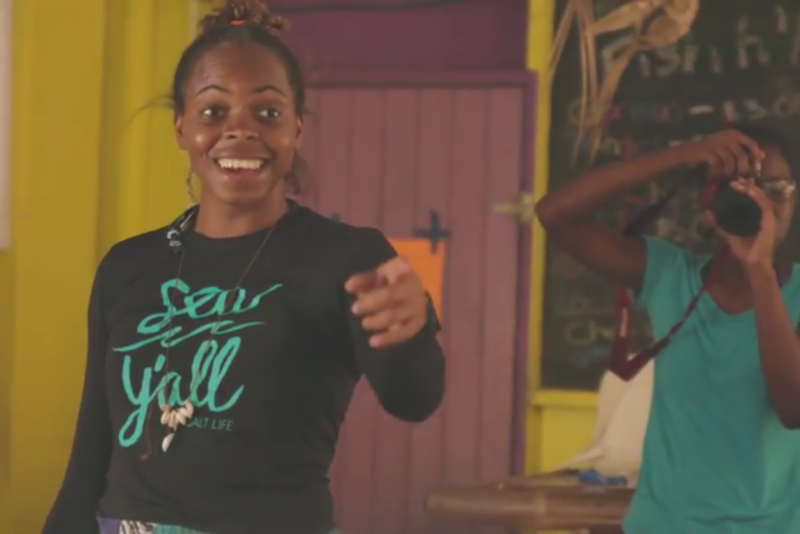 “My goal is not only to educate and increase Caribbean youth awareness about the marine life, but also to immerse them and inspire them to be passionate ocean stewards. Together, we must all understand the challenges we face, and be a part of the solutions. There’s a lot of work to be done, I look forward to doing it together,” added Wade. 2005 - 2018 Copyright © All rights reserved. | Theme: Elegant Magazine by AF themes.